But as Cathy O'Neil reveals in this urgent and necessary book, the opposite is true. The models being used today are opaque, unregulated, and uncontestable, even when they're wrong. Most troubling, they reinforce discrimination: If a poor student can't get a loan because a lending model deems him too risky (by virtue of his zip code), he's then cut off from the kind of education that could pull him out of poverty, and a vicious spiral ensues. Models are propping up the lucky and punishing the downtrodden, creating a ""toxic cocktail for democracy."" Welcome to the dark side of Big Data. Tracing the arc of a person's life, O'Neil exposes the black box models that shape our future, both as individuals and as a society. 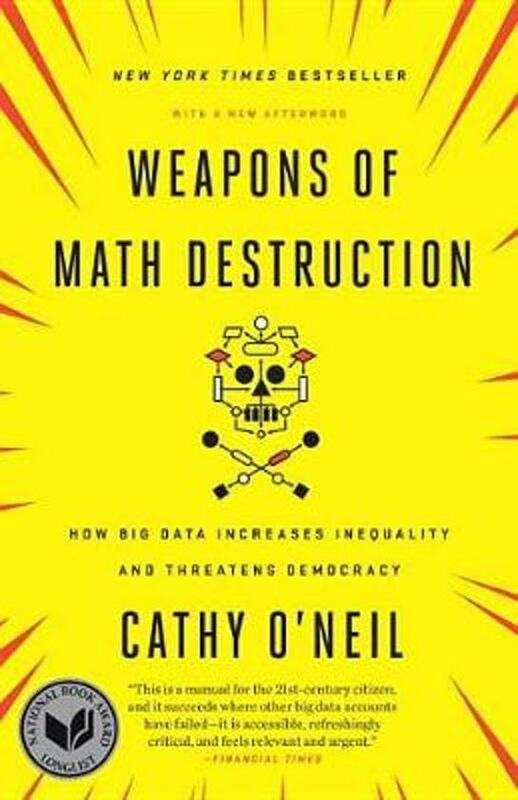 These ""weapons of math destruction"" score teachers and students, sort résumés, grant (or deny) loans, evaluate workers, target voters, set parole, and monitor our health. — Boston Globe, Best Books of 2016, Non-Fiction"